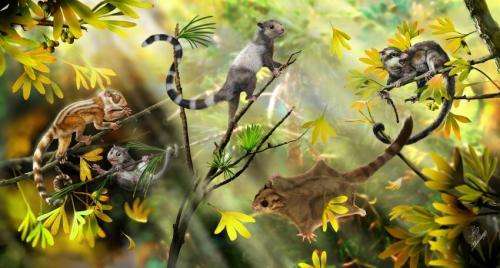 Paleontologists have described three new small squirrel-like species that place a poorly understood Mesozoic group of animals firmly in the mammal family tree. The study, led by scientists at the American Museum of Natural History and the Chinese Academy of Sciences, supports the idea that mammals—an extremely diverse group that includes egg-laying monotremes such as the platypus, marsupials such as the opossum, and placentals like humans and whales—originated at least 208 million years ago in the late Triassic, much earlier than some previous research suggests. The study is published today in the journal Nature. "For decades, scientists have been debating whether the extinct group, called Haramiyida, belongs within or outside of Mammalia," said co-author Jin Meng, a curator in the Museum's Division of Paleontology. "Previously, everything we knew about these animals was based on fragmented jaws and isolated teeth. But the new specimens we discovered are extremely well preserved. And based on these fossils, we now have a good idea of what these animals really looked like, which confirms that they are, indeed, mammals." 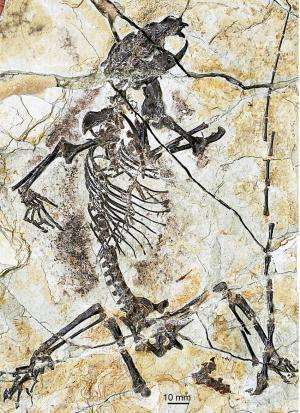 The three new species—Shenshou lui, Xianshou linglong, and Xianshou songae—are described from six nearly complete 160-million-year-old fossils found in China. The animals, which researchers have placed in a new group, or clade, called Euharamiyida, likely looked similar to small squirrels. 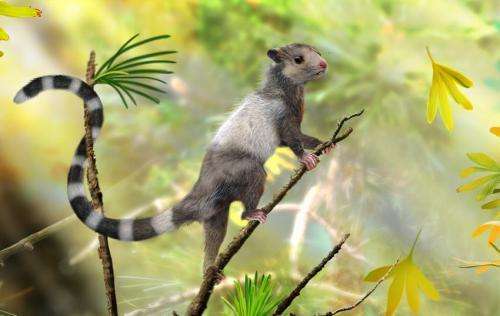 They weighed between 1 and 10 ounces and had tails and feet that indicate that they were tree dwellers. "They were good climbers and probably spent more time than squirrels in trees," Meng said. "Their hands and feet were adapted for holding branches, but not good for running on the ground." The members of Euharamiyida likely ate insects, nuts, and fruit with their "strange" teeth, which have many cusps, or raised points, on the crowns. Mammals are thought to evolve from a common ancestor that had three cusps; human molars can have up to five. But the newly discovered species had two parallel rows of cusps on each molar, with up to seven cusps on each side. How this complex tooth pattern evolved in relation to those of other mammals has puzzled scientist for many decades. Despite unusual tooth patterning, the overall morphology, or physical characteristics, seen in the new haramiyidan fossils is mammalian. For example, the specimens show evidence of a typical mammalian middle ear, the area just inside the eardrum that turns vibrations in the air into ripples in the ear's fluids. The middle ears of mammals are unique in that they have three bones, as evidenced in the new fossils. "What we're showing here is very convincing that these animals are mammals, and that we need to turn back the clock for mammal divergence," Meng said. "But even more importantly, these new fossils present a new suite of characters that might help us tell many more stories about ancient mammals." "It is important always to keep in mind that drawings purporting to represent the outward appearance of Mesozoic animals often reflect the theoretical biases of the artist and are frequently based on scant fossil evidence. Although pictured as complete and intact, the animals illustrated are in many, perhaps even most, cases actually known only from a fragment of a jawbone or a few teeth." Sez McCarthy.